So-called packing experts frequently instruct not to travel with more than 3 pairs of shoes. 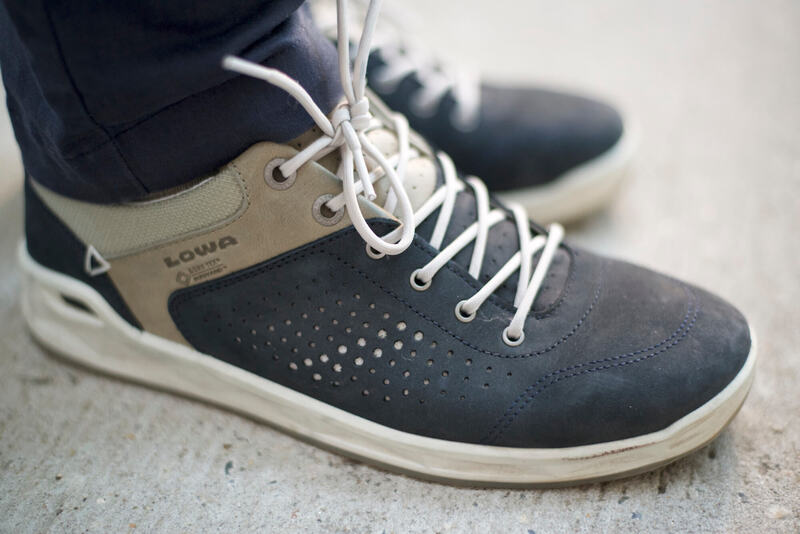 With the San Francisco shoes from Lowa, you could possibly get by with just one. 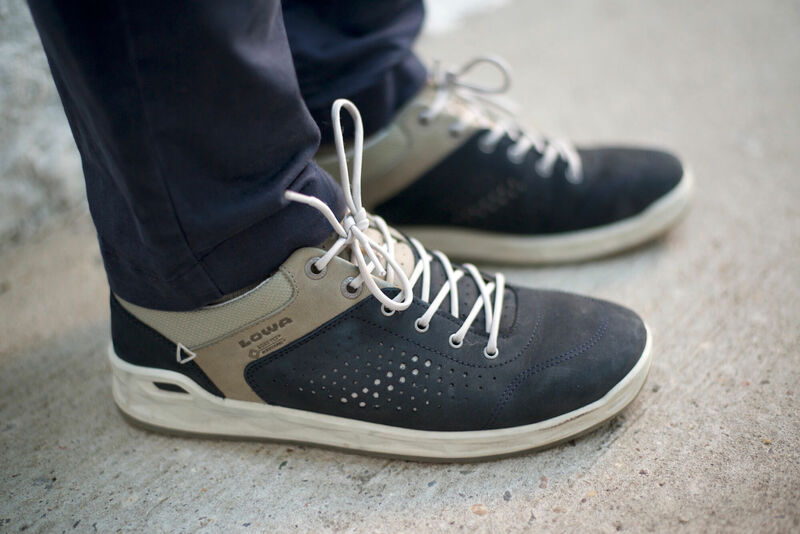 The Lowa San Franciscos are casual-wear shoes, ideal for city walks and day tours. They have a nubuck leather upper, clean design, and utilize Gore-Tex Surround waterproofing technology, which uses a “patented open construction [that] allows moisture and warmth to escape from below the foot”. 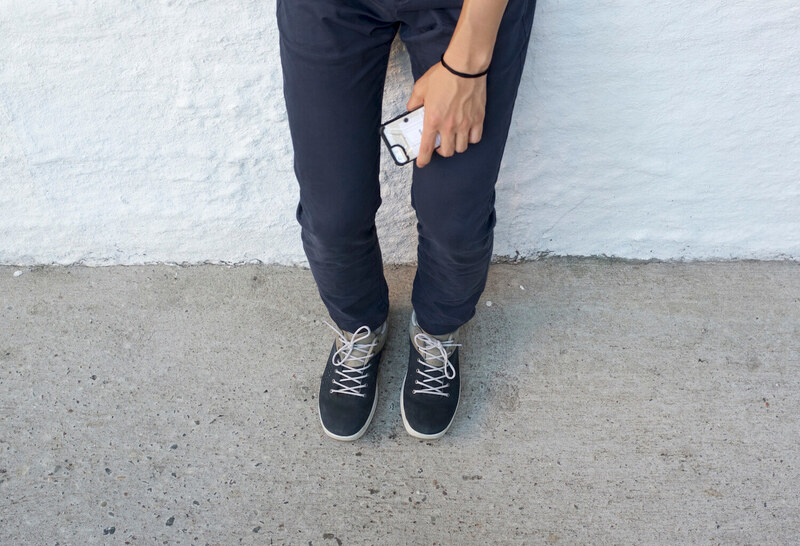 I tested these shoes at home in New York City and while traveling around Ecuador – walking around the Cuenca and Quito city centers, taking light hikes, walking at steep inclines, on wet surfaces, stairs and on cobblestone streets. 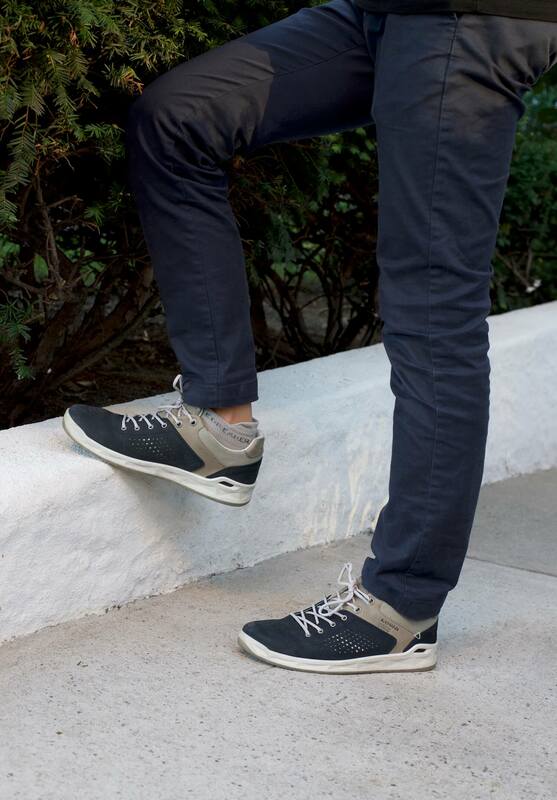 The San Francisco GTX shoes are suitable when worn with jeans, short, chinos or khaki pants. They can be dressed down and used for active excursions, or dressed up for dinners in the city. I’m not sure about wearing a blazer with these shoes, but you could get by with wearing the San Franciscos with chinos and an oxford button down. I wore these shoes with low cut ankle socks, usually Icebreaker merino or Injinji toe socks. Notice that the sole has triangular ‘holes’. These work with the Gore-Tex Surround, allowing for more breathability. In the image above, you might also be able to spot a tiny pebble in the sole – they can get stuck, although it really isn’t a big deal. The Lowa San Francisco GTX shoes are a pair you should consider packing for your next summer vacation. The versatility allows them to be worn with most outfits and on most occasions, meaning less shoes you need to pack. The San Francisco shoes cost retail $225 and come in 4 colorways: Anthracite/Blue, Brown/Orange, Navy/White (which I’ve tested) and Olive/Red. The price is a bit steep, but you should be able to log a lot of miles in them. What are your thoughts on these shoes? Leave a comment below. Thanks for this review Jonathan!